There’s no doubt about it; food trucks are the craze. It’s easy to remember when food trucks were few and far between, and their offerings were limited. Now it isn’t uncommon for people to attend food truck festivals and enjoy everything from sushi and Indian curries to vegan delights and Texas Style BBQ. There is no doubt that food trucks have come a long way and offer even the most discriminating foodie a variety of gourmet delights. As this business segment continues to grow, so will the need for the insurance industry to adapt and offer these modern entrepreneurs advice and protection for their business. Food truck owners and operators have many unique concerns when looking for insurance protection. 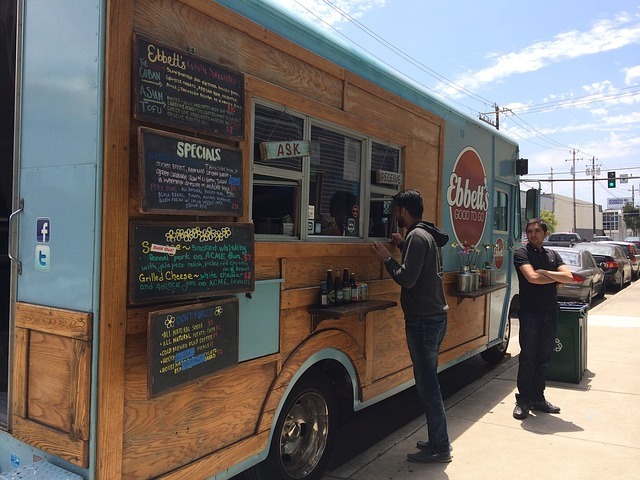 Since the food truck industry is really a niche of its own, food truck owners will find themselves best served by aligning with agents and insurance carriers that understand and specialize in their business. As with any insurance coverage you can always cut corners to save a few bucks, but the results can be catastrophic. Simply put, without the right coverage you could find yourself out of the food truck business pretty fast. Experience matters to insurance companies. Any company that understands the food truck business also understands this industry has many new startup operations and many in business less than three years. This does not mean if you’re starting a new operation you won’t be able to find adequate coverage, but your prior experience will likely matter. If your background has been several years working in the restaurant or catering industry, then you’re off to a good start but be ready to share your background in detail. If you’re not coming from the food service industry, your insurance agent and carrier will need to understand your career change, business plan, and available resources in much greater detail. If you’re an experienced operator, then a review of your prior loss history, if any, will be conducted. It’s a pretty simple theory, but the more you’re on the road the more you’re at risk of an accident. It’s expected your truck will be on the move but exposure for a truck moving three times a week will differ greatly from one moving three times a day. Your agent and carrier will need to know the condition of, cost of, and special equipment associated with your truck and/or trailer. Will you be using propane? Do you have a proper ANSUL (fire suppression) system? What other items are permanently attached to your truck? Will you be serving alcohol or are you interested in expanding to offer it? You may need liquor liability coverage. If you suffer a loss, how long will you be able to operate with the loss of your business income? How soon would you be able to be up and running again? Will you have staff or bring on extra help as needed? If you have employees, you will need workers’ compensation insurance. How much could you afford to financially handle a food contamination or spoilage issue? submit our online quote request form insurance in NH or MA. We will also be able to educate you on useful services our carriers offer, from EFT payment plans to online policy access. Where you’re literally on the go, we understand the importance of having these options, like being able to go online to print your certificates of insurance for an event. Contact us today to learn more about finding the right insurance coverage for your food truck. Products underwritten by Central Mutual Insurance Company and affiliated companies. Copyright © 2016 Central Mutual Insurance Company. All rights reserved.